Posted by Amifur on November 22, 2018 . 0 Comments. Who said that hats are vintage style and cannot be adorned now? Only the strong personalities like to adore hats with their intimidating attire. The hats are and always will be the best accessories for men who like to carry them in style. During the winter season, the fur hats become a part and parcel of the attire you like to wear. This accessory will protect your head from freezing winds and snowfall. In fact, you will find yourself warm and comfortable all the time. This is why the fur hats have become a staple choice that goes well with all kinds of attires. There are different types of hats you will find in our brilliant collection. We only use 100% genuine animal fur to present you the utmost comfort you expect. We, at Amifur, dedicatedly choose the best quality fur and convert them into modern fashion accessories so that you can drop some jaws on the way. Here is the list of different types of Men’s fur hats you will find in the auspicious collection of Amifur. This item does not need any introduction. If the Russians can stay warm in the bone-chilling winter then you can rest assured that beating any winter in any corner of the world is a cake walk. The Russian style comes with a pair of elongated ear flaps to protect your ears from the blizzards, snow and chilly winds. It also comes with a front forehead flap so that you can protect your eyes from snowfall. The items contain a polyester lining to keep you comfortable all the time. The fur used to make this item comes from Crystal Fox, Golden Firefox, Lynx, Grey Fox, Chinchilla, Beaver, Mink, etc. The items are available in natural and artificial tones. Mink fur hat is the most popular in this particular segment. This particular item comes with a unique design where the ear flaps have a lace attached to their end. The lace is used to tie the ear flaps and protect your neck as well. 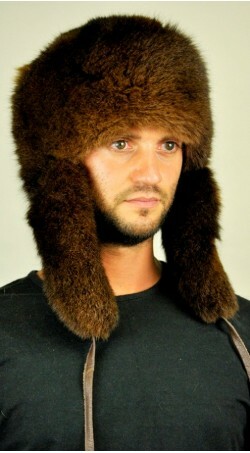 The Ushanka style also comes with a front flap to protect your eyes and forehead. This hat is also prepared with the fur of mink, possum, chinchilla, fox, lynx, Rex, etc. You can try the Rex Fur Hat in this segment. The classic style hat is very simple yet very effective in nature. The hat design only covers the head and it may or may not come with a pair of ear flaps. The ear flaps are smaller in this design. The classic style hat is made with the fur of exotic animals mentioned above. 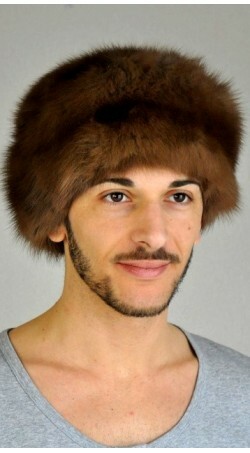 The most popular item in this segment is the Sable fur hat. You will find many other accessories made from genuine fur in the store. 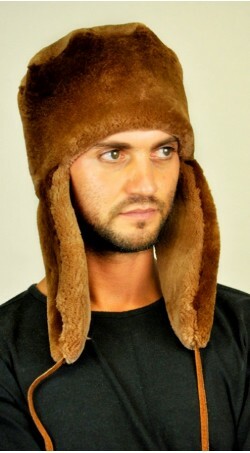 Find the best men’s fur hats in the collection and redefine your winter wardrobe. The hats will keep you warm and cozy in style throughout the winter season.